It's a modern-day woe that we just don't get enough sleep. Whether it's from late-night scrolling or early-morning workouts, we're all so keen to pack everything into our daytimes that our sleep can suffer—which is why we sometimes need to lean on a skincare product to help us fake the look of being totally awake, even if we're feeling anything but. Being a beauty editor means I come across a host of products that promise the world, but it's my job to work out which ones really go over and above. 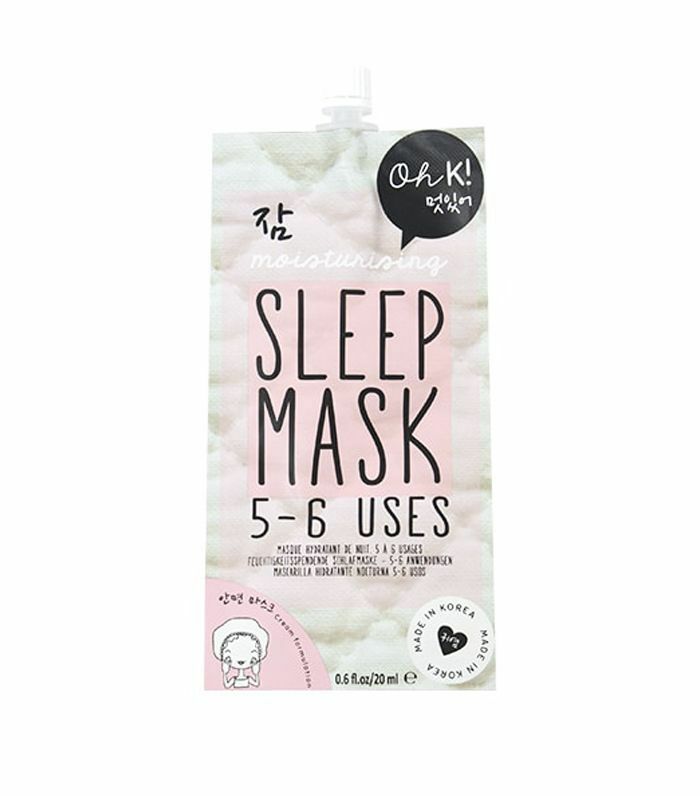 So when I came across this particular overnight mask that promised me I would look fresh-faced come the morning, I was intrigued (if not a little skeptical). Discovering it cost just £4, I couldn't wait to slather it on and put it through its paces. Now, while I was initially wary, the day after trying it, my colleague told me my skin was glowing. Tempted to try? Keep scrolling to find out about the new beauty product that made me look like I had eight hours sleep (when I only had five). I initially stumbled across Oh K! on ASOS's beauty section (which, by the way, is incredible). I was most intrigued by the products because they are reasonably priced—nothing is over £10. If you're a beauty addict, then you'll probably lap up anything Korean-related, and this brand was offering to give me incredible skin without the hefty price tag. A quick glance at the ingredients list and it's easy to see why it promises to deliver on the skin front—it's full of glycerin and hyaluronic acid, ingredients that both help to moisturise and plump up the skin. But did it deliver? I tried this sleep mask a couple different ways. First, I thought I would give it a whirl after cleansing and toning. It comes out in a soft, white, thick, serum-type consistency, but it quickly sinks into the skin. However, without the extra layer of moisturising underneath, I definitely felt that my skin was lacking and had a "tacky" feel. So far, I wasn't impressed. But the next night, I tried it again, following the instructions to the letter (that will teach me) and discovered that the product sank in just as well as before but didn't leave me with a tacky or dry sensation. The next morning, I noticed that my complexion looked brighter, and the dark circles under my eyes weren't noticeable whatsoever. The clincher, however, was that my colleague said my skin looked like it was glowing. Needless to say, this one has already earned itself a repurchase. Next up! We've discovered the best lip-plumping products.